Think about all of the accessories we carry through our lives each day. 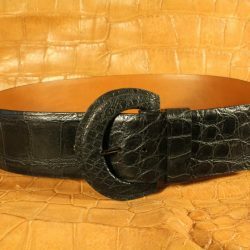 From the belt that matches your shoes, to the wallet in your pocket, to the business card holder you use on the job, these items are part of who you are. 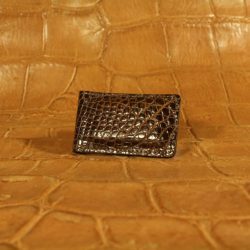 Shouldn’t they exude the same level of luxury as your clothes or shoes? 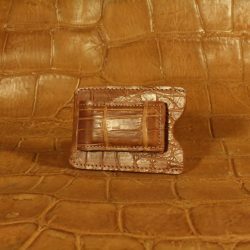 Come to us for a beautiful snakeskin or custom alligator wallet in Baton Rouge, LA, so you can experience luxury each and every time you take out your wallet to pay for something. 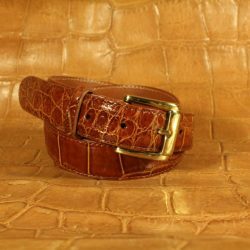 We promise quality that will hold up for years and a look and feel that’s lavish. 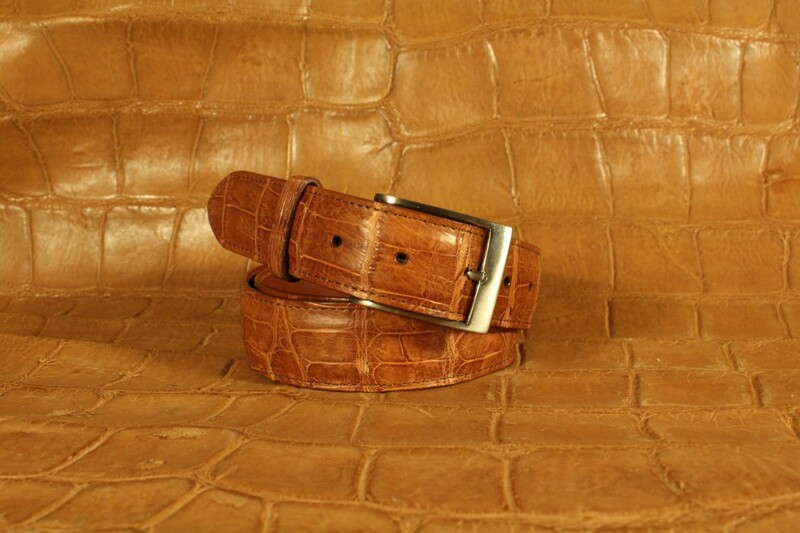 Every good outfit needs a good belt, and nothing is better than a genuine alligator belt in Baton Rouge, LA. 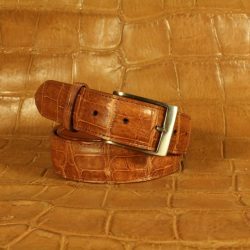 Let us design you a belt that’s the perfect color and style for your ensemble, no matter what you’re wearing. Your briefcase says a lot about you—we’ll make sure it’s saying all the right things. 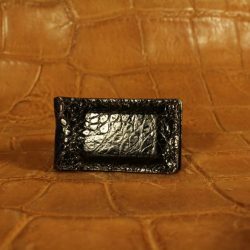 When you put a custom, exotic leather briefcase down on the table, your clients and colleagues will know you’re there to do business. 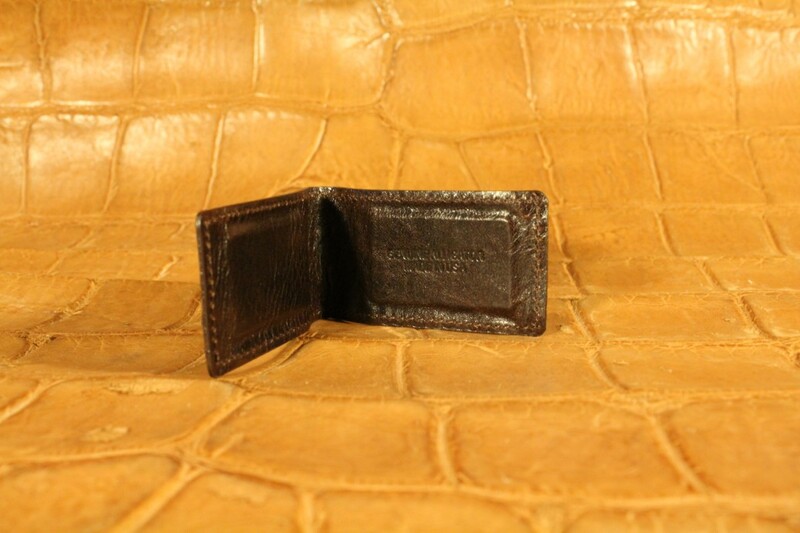 Not a wallet guy? 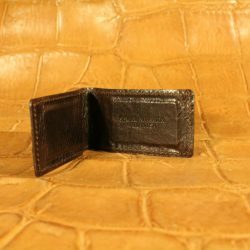 We’ll create a stylish money clip that keeps your cash and cards secure, while radiating style and sophistication each time you pick it up. 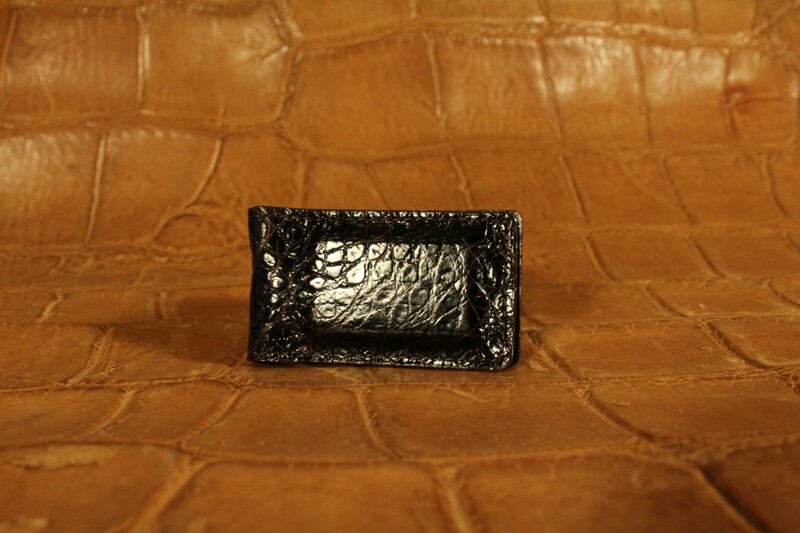 Business card holders: Make your name known in more ways than one! 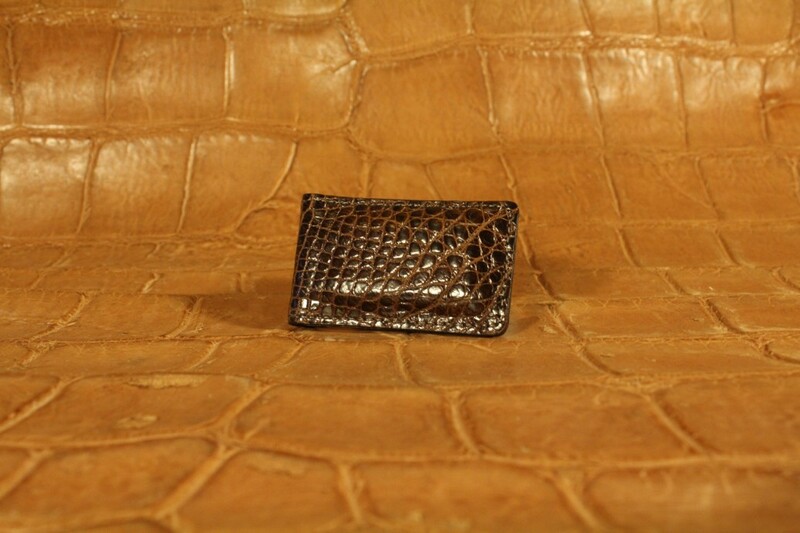 Taking out an exotic leather business card holder will make sure clients and customers remember your name. 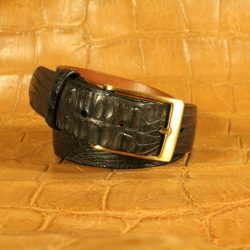 We’re able to craft a wide range of men’s and women’s accessories from exotic leather. Just let us know what you’re looking for and we’ll make sure you get it, totally customized for you. 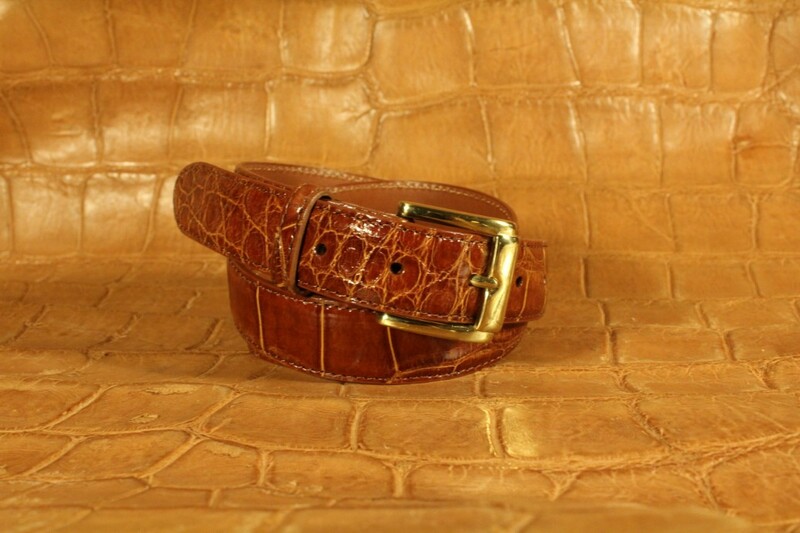 *Your finished accessory will take 3-10 months to create based on the availability of the prepared and colored skin. 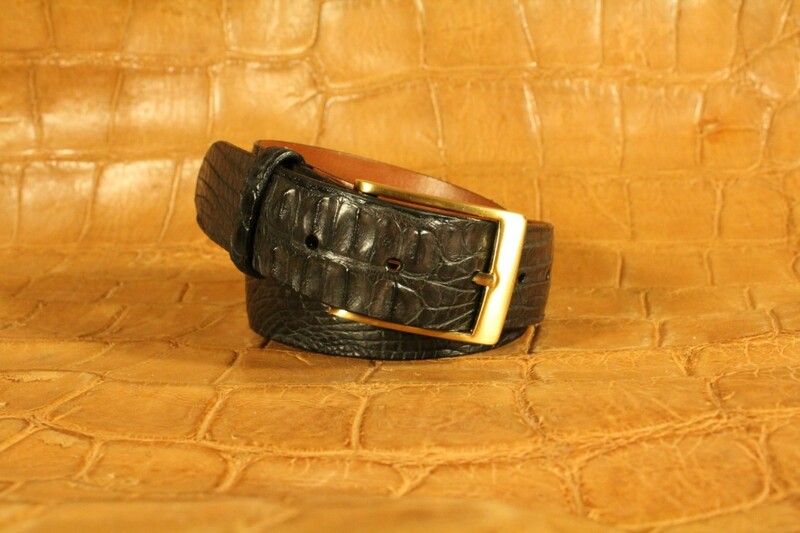 Want to add a little luxury to your life? 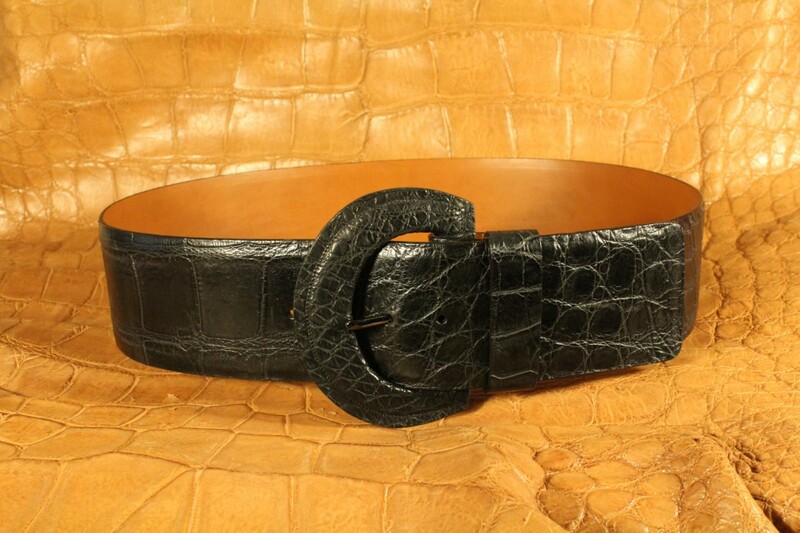 Start with a belt, wallet or some other accessory, custom made for you with the very best in exotic animal leather. 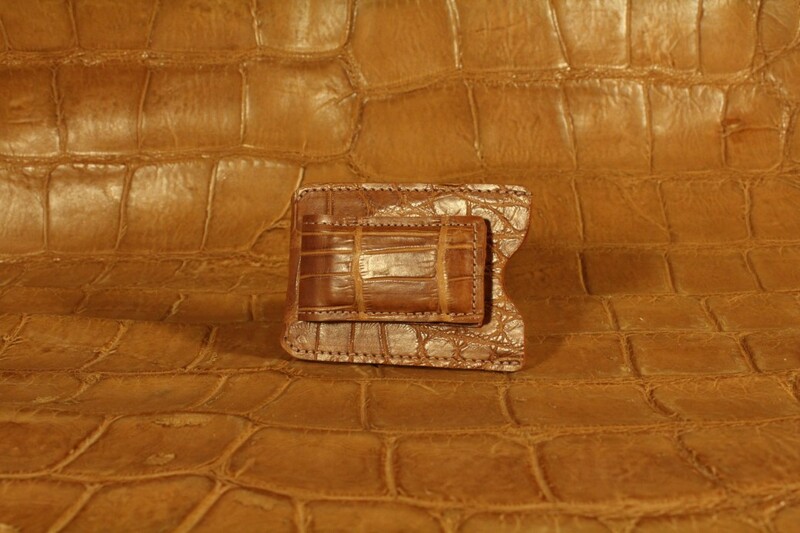 Contact Acadian Leather today at 225-683-9988 and let us know what you’re looking for.